In the last 20 years there has been an explosion of new cosmetic surgery procedures developed for a large base of office-based dermatologists, cosmetic surgeons, plastic and reconstructive surgeons, and otolaryngologists. Tricks and techniques are swapped across the globe, with practitioners in Europe, Asia, and North and South America. This is a practical, simple manual of those tricks and techniques, with input from specialists around the world. 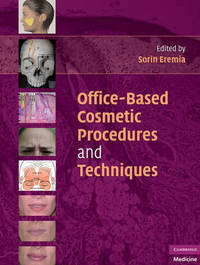 This book is aimed at practitioners who want to add new procedures to their scope of practice and learn new methods of application. A wide range of procedures, from fillers and neurotoxins to suture suspension and chemical peels, are covered here in a comparative format and accompanied by more than 200 color illustrations. 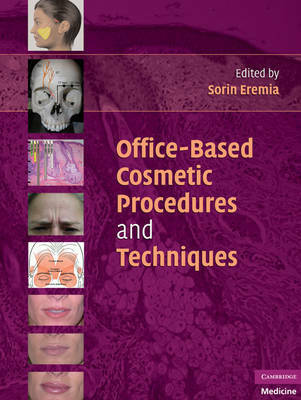 In addition to detailing the procedures, chapters also cover anesthetic techniques and brands. This book is designed to be an easy and useful reference for the beginning practitioner or more senior physician. Sorin Eremia, MD, is Associate Clinical Professor of Medicine and Director of the Cosmetic Surgery Unit in the Division of Dermatology at the University of California, Los Angeles.